Karen Christman's research group focuses on developing novel biomaterials for tissue engineering and regenerative medicine applications. Christman's research group focuses on developing novel biomaterials for tissue engineering and regenerative medicine applications. The lab has a strong translational focus with the main goal of developing minimally invasive, biomaterials based therapies for myocardial infarction, heart failure, peripheral artery disease and "women's health." Projects are highly interdisciplinary and involve collaborations with basic scientists, engineers and physicians. 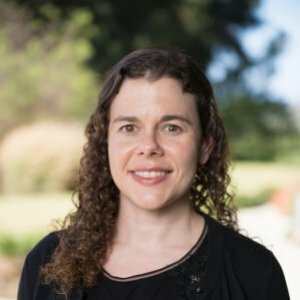 Christman joined the Department of Bioengineering at UC San Diego in 2007 and is a member of the Institute of Engineering in Medicine and the Sanford Consortium for Regenerative Medicine. She is a fellow of the American Heart Association and the American Institute for Medical and Biological Engineering. 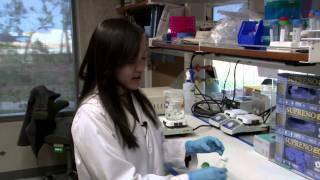 She has received several awards including the NIH Director’s New Innovator and Transformative Research Awards, the Wallace H. Coulter Foundation Early Career Translational Research Award, the American Heart Association Western States Innovative Sciences Award, and the Tissue Engineering and Regenerative Medicine Society’s Young Investigator and Senior Scientist Awards. Christman is also co-founder of Ventrix, Inc., which is in clinical trials with the cardiac extracellular matrix hydrogel technology developed in her lab at UC San Diego. Christman received her B.S. in Biomedical Engineering from Northwestern University in 2000 and her Ph.D. from the University of California San Francisco and Berkeley Joint Bioengineering Graduate Group in 2003, where she examined in situ approaches to myocardial tissue engineering. She was also a NIH postdoctoral fellow at the University of California, Los Angeles in the fields of polymer chemistry and nanotechnology. CAN YOU CREATE GELS THAT REPAIR HEART ATTACK DAMAGE? The statistics are shocking. Almost half of all Americans live with one or more risk factors for a heart attack. Now, bioengineers at the Christman Lab at the University of California, San Diego have created a material that could repair and even reverse the damage done by a heart attack. "A heart attack is a single event where the blood supply is blocked to that downstream tissue," said Karen Christman, a bioengineer at UCSD. When the tissue is deprived of the blood it needs, it becomes damaged. "So we're looking at coming in a month after that process has happened to try and reverse it and prevent further damage," said Christman. An experimental treatment to repair damage from heart attacks is showing early signs that it may be working in people, the discoverer of the technology said at a major biomedical meeting in La Jolla. 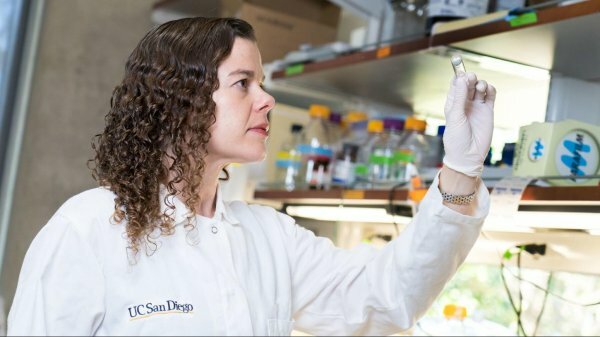 “So far we have complete followup data on two patients, and both did show signs of improved cardiac function,” Karen Christman, scientific founder of San Diego’s Ventrix, said Thursday at the Cell & Gene Meeting on the Mesa. The Christman Lab at UC San Diego focuses on developing novel biomaterials for tissue engineering and regenerative medicine applications. The lab has a strong translational focus with the main goal of developing minimally invasive therapies for cardiovascular disease. Projects are highly interdisciplinary and involve collaborations with basic scientists, engineers, and physicians. Described herein are compositions comprising decellularized extracellular matrix derived from skeletal muscle or other suitable tissue, and therapeutic uses thereof. Methods for treating, repairing or regenerating defective, diseased, damage, ischemic, ulcer cells, tissues or organs in a subject preferably a human, with diseases, such as PAD and CLI, using a decellularized extracellular matrix of the invention are provided. Methods of preparing culture surfaces and culturing cells with absorbed decellularized extracellular matrix are provided. The goal of this proposal is to develop degradable enzyme responsive polymeric nanoparticles for treating acute myocardial infarction. The goal of this proposal is to examine the potential for extracellular matrix based hydrogels for treating acute myocardial infarction, and ischemic and non-ischemic heart failure. The goal of this proposal is to generate cGMP material, perform safety studies, and plan a Phase I clinical trial to prepare for a pre-IND meeting for using a skeletal muscle ECM hydrogel in peripheral artery disease patients. The goal of this proposal is to examine the potential for extracellular matrix based hydrogels for treating pelvic floor muscles. The goal of this proposal is to examine the potential for extracellular matrix based hydrogels for treating damaged rotator cuff muscles. Myocardial tissue lacks the ability to significantly regenerate itself following a myocardial infarction, thus tissue engineering strategies are required for repair. Several injectable materials have been examined for cardiac tissue engineering; however, none have been designed specifically to mimic the myocardium. The goal of this study was to investigate the in vitro properties and in vivo potential of an injectable myocardial matrix designed to mimic the natural myocardial extracellular environment. Porcine myocardial tissue was decellularized and processed to form a myocardial matrix with the ability to gel in vitro at 37 °C and in vivo upon injection into rat myocardium. The resulting myocardial matrix maintained a complex composition, including glycosaminoglycan content, and was able to self-assemble to form a nanofibrous structure. Endothelial cells and smooth muscle cells were shown to migrate towards the myocardial matrix both in vitro and in vivo, with a significant increase in arteriole formation at 11 days post-injection. The matrix was also successfully pushed through a clinically used catheter, demonstrating its potential for minimally invasive therapy. Thus, we have demonstrated the initial feasibility and potential of a naturally derived myocardial matrix as an injectable scaffold for cardiac tissue engineering. In this study, we determined whether fibrin glue improves cell transplant retention and survival, reduces infarct expansion, and induces neovasculature formation.